Welcome to Spendelove Private Hospital, a private post-operative and illness facility, specialising in recuperation, recovery and sub-acute healthcare. Let us care for you and ease your mind at Spendelove Private Hospital. Boasting a prime location and prestigious facilities, Spendelove Private Hospital is a unique private health care facility for people recovering from surgery or medical illness, or needing other sub-acute care (e.g. blood pressure or diabetic monitoring or pain management). Patients can be admitted at their request either from another hospital or directly from home. Spendelove Private Hospital Spendelove Private Hospital is a fully accredited private hospital with complete funding recognition and therefore attracts full payment and cover for your stay from every private health fund and DVA, no matter whether you are admitted to Spendelove Private Hospital from another hospital or directly from home. Our team is committed to providing the highest standard of care in a compassionate environment. With highly qualified doctors looking after you and experienced nurses on-site 24 hours a day, 7 days a week, your recovery is in competent and experienced hands. We have earned an outstanding reputation during 15 years of service to our patients. Your treatment and comfort is paramount and your discretion and privacy assured. Care at SPH is supported by ancillary services which include physiotherapy, speech-therapy, dietetics, occupational therapy, exercise physiology, psychology, pharmacy, health education and rehabilitation. Individually prepared appetising and nutritious meals are made on-site and provided either in your room or can be enjoyed in the company of others in our tastefully furnished dining areas. Our enthusiastic and caring kitchen staff members cater for each of our patients’ specific tastes and dietary requirements. 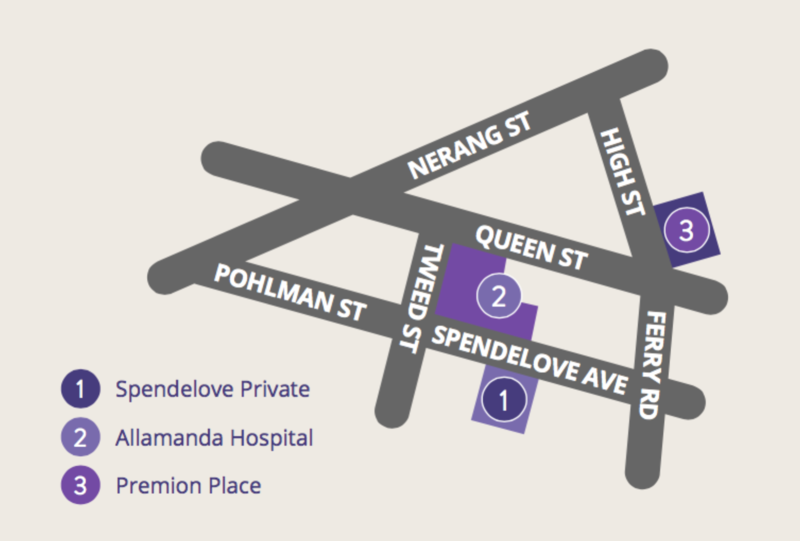 We look forward to welcoming you to Spendelove Private Hospital and providing quality care in a relaxed, friendly and supportive environment. Please feel free to speak with us if you have any queries regarding your visit and our staff will make every effort to assist you.